Please continue to pray for those who are suffering as a result of Hurricane Sandy. There are incredible reports coming forth of great love and support all over the region. Neighbors are helping neighbors. Friends are helping each other. Sacrificial giving is taking place. It is very encouraging to see what is largely a purely American response to help one another—one stemming directly from our Christian heritage—that is relatively rare in other parts of this world. While we are all greatly concerned about the extensive devastation and suffering currently taking place, we must stay on point in remembering possible reasons for such devastation. Some are saying this is simply a cyclical change, and that the planet is merely going through the same cycles it has been going through over millions of years. The difference now, it is said, is that a lot of our stuff happens to be built in danger zones. It certainly appears that some kind of climate change is taking place, but the northeast has experienced massive storms like this before, just not this massive. And the destruction from Hurricane Sandy has been off the scale. There is really no precedent for a storm this large and destructive. It would take years to repair the damage and rebuild, if indeed all will be rebuilt. No one wants to use the “K” word but is has already been floated by those on the scene when the monster storm blew in. Comparisons to New Orleans are obvious. For those who insist on keeping this event on a mere natural plane and claim it is just nature being nature, you probably do not need to read any farther. The truth of the matter is that actions have consequences. Great civilizations have arisen in the ancient past and vast empires have been constructed. But they are all gone now. Nothing remains but ruins and historical accounts, some quite brief. They did not just come and go with no rhyme or reason. There were in fact perfect reasons for their demise. And the number one reason was sin and rebellion against the Creator. And not enough people care to do anything about it. For the most part we waste all our steam on political rhetoric and false promises. We are actually satisfied that some bigwig says he is against the practice and let it go at that. Or we continue playing the fool’s game of electing false pro-life presidents so they will appoint the right Supreme Court justices to change the law. It didn’t work with Reagan thirty years ago and it won’t work now. The only thing that will work is repentance. And repentance requires a humble, contrite heart. And until enough people in America put forth some real repentance with the fruits of repentance to match nothing will change. Innocent babies will continue to be butchered. There is such a huge disconnect in this area. If parents think of their own newborns they are horrified at the prospect. Grandparents think it the worst of all scenarios. But when it comes to all those other babies who have no advocate to save them from the worst form of child abuse ever invented, almost everyone goes silent. Especially in New York City. Why so many abortions are performed there might have many reasons but the facts are clear: If you are a baby in the womb the last place in America you want to be is in New York. Of course, there are many wonderful, loving parents in New York and births take place there every day all day long, and the little ones are perfectly cared for. But it’s like those men sitting in a briefing room about to go on a bombing mission during a war. The instructor tells them to take a good look at the men on either side of them. He then tells them there is a fifty-fifty or better chance you will never see them again, because many will not be returning home. And that is simply the fact. Abortions in New York City almost equal live births. The metropolis has the most liberal laws in the entire country for killing your unborn baby (or terminating your pregnancy if you prefer). Since science tells us that every action demands a reaction, and we all should know that our choices have consequences, what does one think the reaction or consequence might be for the worst sin ever committed by a human? Especially when the sin is multiplied a million times? Or about 54,000,000 times? That’s the number of babies legally killed in this country over the last forty years. It was about this time of the year in 1972 that the Supreme Court was officially deliberating the verdict, but the decision had already been made. It was part of the world population reduction agenda by the globalist traitors in power. January of 2013 will mark forty years since the verdict was rendered. And when Roe v. Wade was decided on January 22, 1973, babies within the womb across the entire country were instantly denied every single one of their rights legally granted to them by the Constitution of the United States, most significantly their right to life. They no longer had a single viable advocate. Each of them was rendered a non-person, a gob of tissue, a nothing. And America has been awaiting the worst form of judgment ever since. As they say in financial circles, follow the money. In this case, follow the judgment. Unless America repents as a nation it will one day be judged as a nation. Until that time, keep your eye on certain states and cities. Those who reject God and consequently embrace the devil the most are first in line to receive their just fruits. The most defenseless and innocent among us are the little ones. Only the heartless do them harm. Only pure evil is responsible for their deaths. 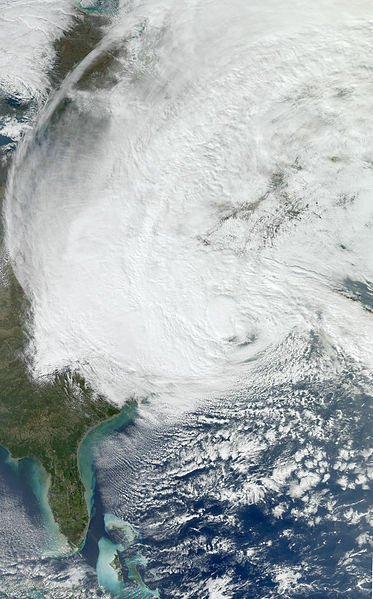 A Lesser Hurricane Irene: The Evidence of Prayer? Maybe there was collusion between all the weather boys and girls up and down the coast and the scientific computer geniuses that postulated a storm of nearly Biblical proportions. Maybe they all made a deal with the news media to play it up and make Irene appear as the almost second coming of Rita or Andrew or Isabel grafted onto the upper east coast, New York City, and New England. Or maybe there are many more powerful Christians in this nation than otherwise thought praying powerful prayers that a very powerful God answered. Hurricanes are a natural phenomenon like any other natural process such as rain or lightning. They happened eons before any human set foot on the land. They will not stop just because we are here. I will personally, however, believe that the Lord God of all creation can do whatever He wants whenever He wants, and that if He uses natural means to judge humanity it’s His prerogative. I will also believe that real believers have power over the elements. The Greek word for “storm” in the above verse is seismos. It means, “A commotion, a shaking, AN EARTHQUAKE.” In fact, this Greek word appears 14 times in the New Testament and every other time it is translated as “earthquake.” Along with the earthquake was a great wind. Mark and Luke called it “a fierce gale of wind,” which Strong labeled “a hurricane.” In other words, the storm on the Sea of Galilee was not a rain event or a thunderstorm. It was the result of an earthquake and wind. Great roiling waves had resulted which were swamping the boat. The apostles rightly feared for their lives. This was no mere storm but something much more out of the ordinary. First, He jumped their case for being cowards, and for having so little faith. Second, He rebuked the winds and the sea. (2) Had far too little faith to affect any change. From watching the Lord perform the miracle, the apostles learned that even the winds and the sea obey Him! Who is this guy?! And they eventually received the power to do the same thing. Thus, real Christians have power with God through prayer to rebuke the wind and sea. Thus, it is quite possible that all the experts were right but that some other force acted upon Hurricane Irene, which just happened to follow on the heels of a very rare 5.8 Virginia earthquake. And this means this country is not populated with a single Elijah holding the fort but millions of dedicated followers of the Lord Jesus that are increasingly making their presence felt. Besides, the Lord’s people are salt and light—the preservers of humanity and those who show the way. Many will say that Irene was a bust without ever thinking that they possibly dodged a howitzer through the prayers of God’s people. Lieutenant Dan eventually made his peace with God. For all those who did not during the opportunity that was Hurricane Irene, there will be another showdown in the not too distant future, except for those who die and go to hell in the meantime. Mock God all you want, unbelievers. Mock His people. But it is highly likely the ones you mock just saved your keisters. A decade ago during 9/11 in New York, the attack on the Twin Towers of the World Trade Center was a symbolic attack on the U.S. economy. In fact, the economy did falter shortly thereafter. The terrorists involved were hoping to make a statement and achieved their goal. In Washington D.C., the attack upon the Pentagon was a symbolic attack against the U.S. military. The military wasted little time in retaliating. The other plane that crashed in Pennsylvania and a possible fifth plane that never took off were said to have the White House and the Capitol Building in their sights. I am still not sure where that information originated. It might have been mere speculation, or obvious speculation. If true, the mission of those planes was to attack the political symbols of our government. It was somewhat curious during 9/11 that there were apparently no plans to attack some outer symbol of our religious life, the only one remaining from the preceding list. Then I thought, just what would that be? Is there any such thing as an American national symbol of religion? Enter the Washington National Cathedral. It was a long time in the making. The foundation stone was laid on September 29, 1907. The final finial was set in place on September 29, 1990. The exact 83-year period of construction can be no coincidence. What was started during the Theodore Roosevelt administration ended with that of George H. W. Bush. That’s a total of 16 presidents. The central tower of the cathedral is the tallest structure by sea level in the District of Columbia at 676 feet. Coincidentally, another major symbol was also a casualty of the Virginia earthquake. The Washington Monument, 555 feet tall, suffered several structural cracks, especially to its upper pyramidion. The site has been closed indefinitely while damage estimates are assessed. At least one whimsical gargoyle that directs water from heavy rains away from the building was damaged; the head of a bat-like creature on the building’s south side cracked and separated from the rest of the gargoyle, exposing its drainage pipe. On September 3, 1783, the Treaty of Paris was signed, in which Great Britain formally recognized the independence of the American Colonies and the establishment of the United States of America. Almost exactly 114 years later on May 31, 1897, the strongest earthquake ever recorded in Virginia, classified 5.9 in magnitude and VIII in intensity, shook the east coast. Centered about 20 miles east of Blacksburg in Giles County, the massive quake felled chimneys and changed the flow of springs. According to the limited reports of the time, the temblor was felt from the Atlantic coast westward to Kentucky and Indiana, as far south as Georgia and north to Pennsylvania, rocking Washington D.C.
Today, almost exactly 114 years later on August 23, 2011 at 1:51pm EDT, a 5.8 earthquake struck the same area, only about 150 miles away to the ENE, centered near the railroad town of Mineral, Virginia in Louisa County, about 40 miles northwest of Richmond. The quake, less than four miles deep, also rocked the nation’s capital 80 miles away, and was felt as far north as Massachusetts, reaching to the very course where the President was playing golf. Buildings swayed in New York City, and some thought another 9/11 was in the works, still jumpy from a decade earlier. The Pentagon shook violently from what started as a low rumbling felt by occupants, who quickly evacuated. The quake also shook cities as far west as Chicago and Cincinnati, reached south to Georgia, and registered seismically in an incredible 22 states. At least one violent aftershock took place and several more are expected. The damage was generally moderate throughout the Central Virginia Seismic Zone, but served as a rare wake-up call to a region most unfamiliar with earthquakes. Putting the two 114’s together, the exact 228 year period from the formal beginning of this nation until September 3, 2011 is 12 times 19. 12 is the Biblical number of governmental perfection. What follows the number 12 is the very American number of 13. It brings to mind the original 13 colonies upon which this nation was founded, as well as the thirteen red and white stripes of our flag and the original thirteen stars. The number 13 also happens to be the Biblical number of rebellion. Is this just another coincidence? Are we as a nation entering into a new time of reform beginning on September 3 when we honor the 228th anniversary of our formal founding? Many signs have been pointing in that direction. Number in Scripture, E.W. Bullinger. © 1967 by Kregel Publications. All Rights Reserved.